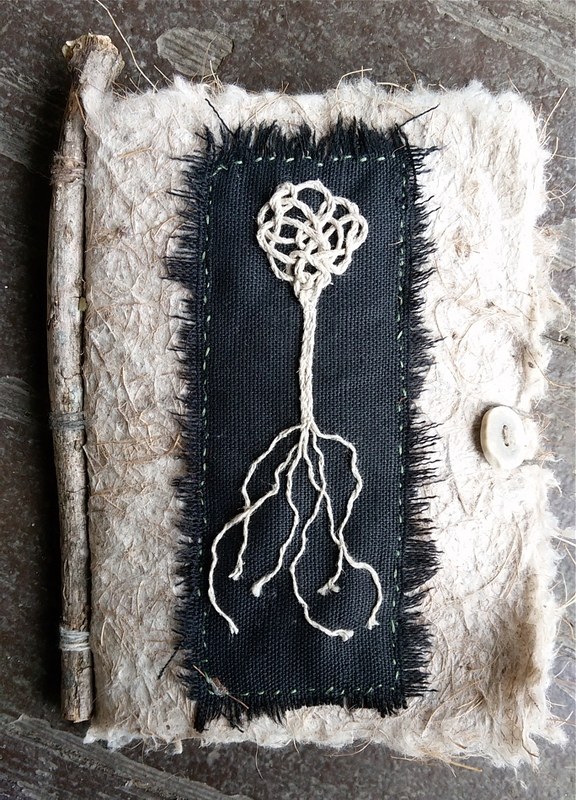 this is another one of my newest spirit journals. 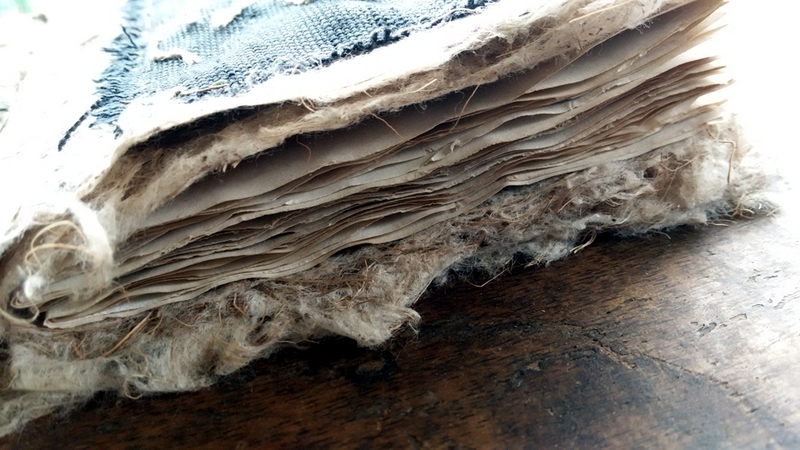 its covers are make of bird’s nest paper and the front is adorned with the first (or second?) world tree/tree of live patch i made. 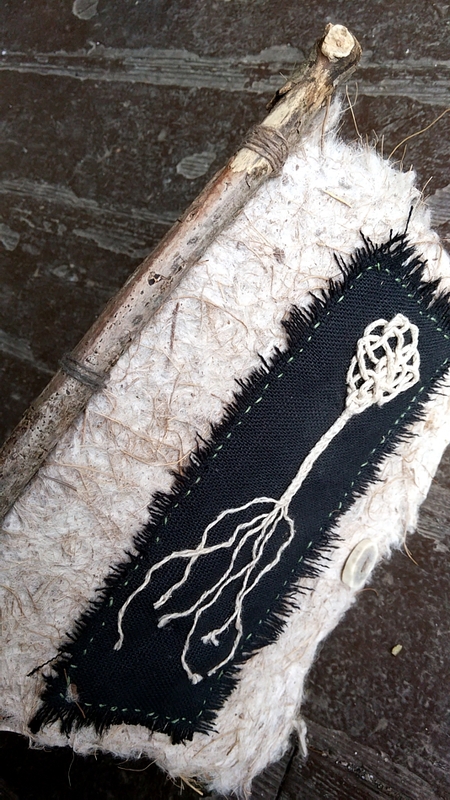 the twig on the spine of this 6×9″ handmade artist book (i actually call them “spirit books”) is elder. a dear lady friend from nova scotia sent me a large bundle of them for my ogham sets as they don’t grow here. in celtic lore, the elder represents cycles: death, rebirth, renewal and regeneration. it’s also a symbol of creativity. 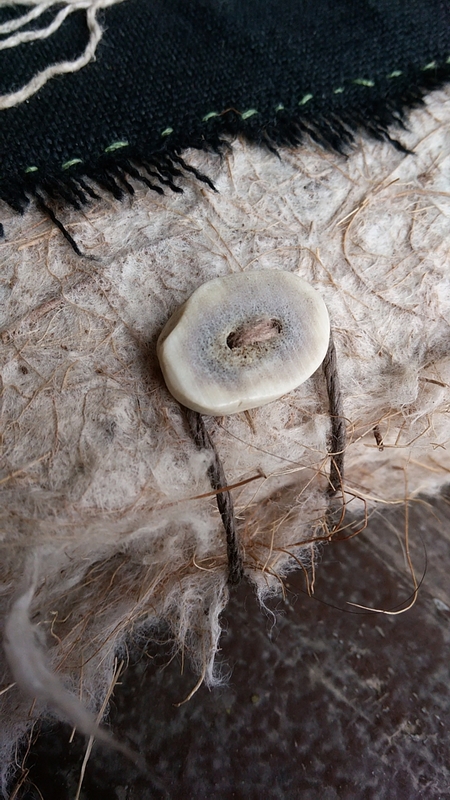 the closure is an antler button (via an antler found left in nature) and there are 60 naturally hand-dyed pages. 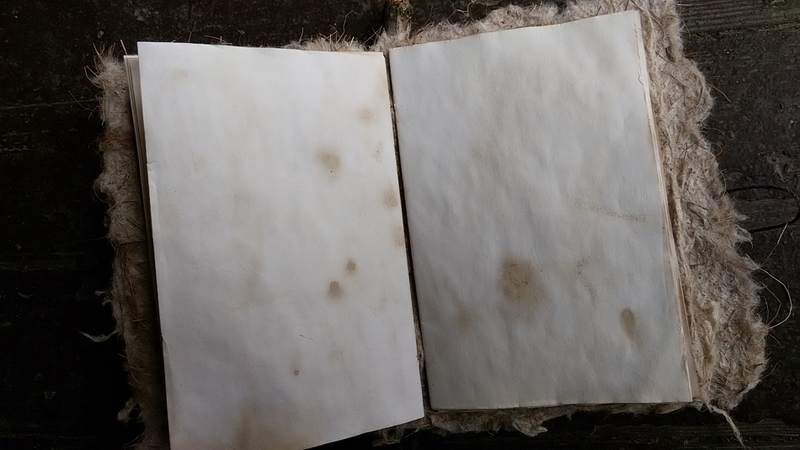 in this book, the pages were dyed with organic, fair trade coffee. yum!